VERSUS! 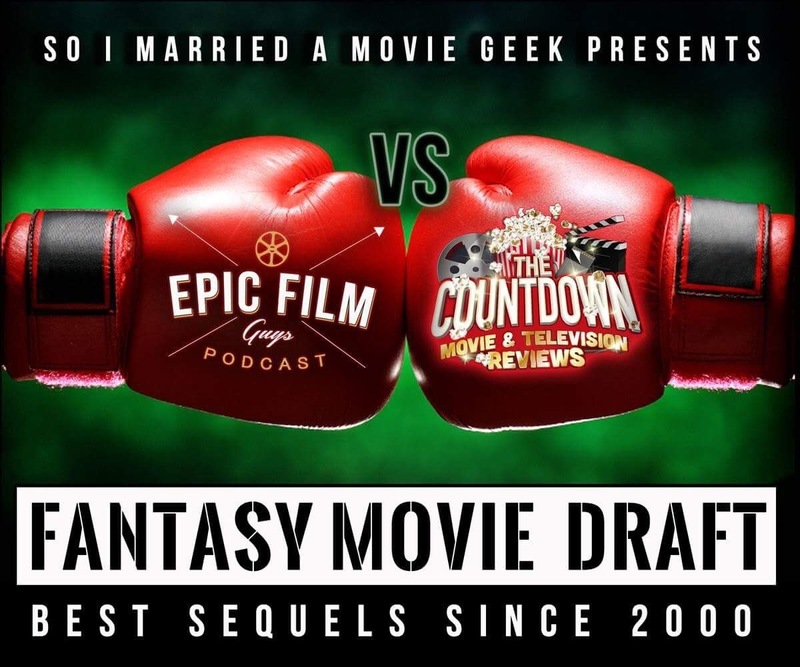 It's go time on #FantasyMovieDraft this week as we pit two podcasts against each other in a fight to the cinematic death! The theme is 'Sequels Since 2000' and the players are Justin and Nick from Epic Film Guys (reppin' the U.S.A.) and Paul and Wayne from Australia's The Countdown Movie and TV Reviews! But this draft shakes it up. The difference is that they're not each playing solo but we pool their respective picks together as a team! Which movie sequels do they choose and how well do their choices go over with their partners? How does Justin deal with being just a moderator for a draft? And what does Nick's soundboard think about it all? It's a fun NSFW draft with a bit of controversy that you should not miss! Check it out! By the way, please like our podcast on Facebook and follow us on Twitter @MovieGeekCast! Subscribe and if you like us (like really like us), we'd appreciate it if you leave us a positive rating and review on iTunes! You can also email us any questions, comments or Fandango gift cards (wink wink) to moviegeekcast (at) gmail (dot) com! Thanks for listening!